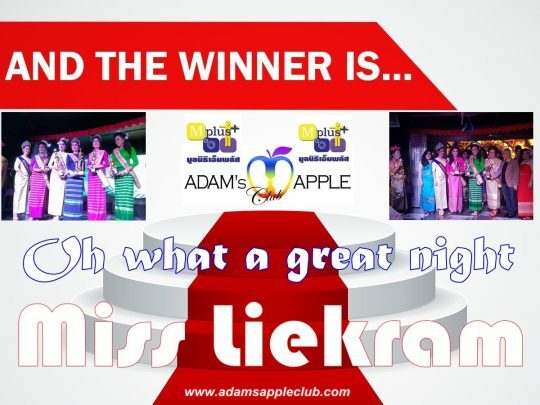 … Miss LieKram Adams Apple Contest 31st May 2018 presented by Adams Apple Club & MPlus Chiang Mai. We have so much FUN. 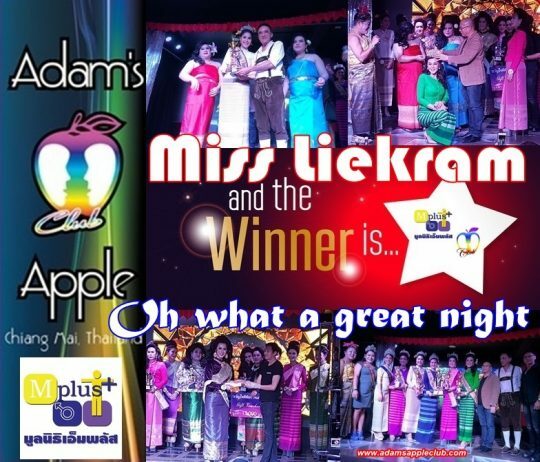 Thanks all Ladyboys the join the contest and thanks to all friends they come last night to this Mega event @ Adams Apple Club Chiang Mai. 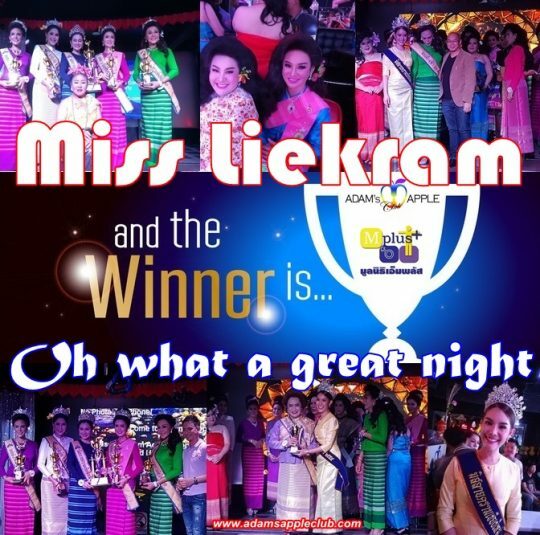 Thanks for the great support from MPlus Chiang Mai.